Wedding Gifts for Your Best Men – Our Top 5! Naturally, weddings tend to be more about the women who are involved than the men. The bride’s mum and sister-in-law participate in the wedding dress shopping; the bridesmaids plan the hen party; the maid of honour helps with so many things, including getting the bride dressed on the day-of; and even the bride pretty much plans the day with “suggested” input from the groom. (Ha!) A lot of the attention is on the female set, so it’s easy to forget about the guys that make the day—or spirit of the day, perhaps—come together. They have a larger part in it all than you might think. First of all, dad may be the one paying for the whole shindig to make his little girl’s dream comes true—that’s a pretty important role! Then there’s Uncle Jeff who you’ve chosen to officiate the ceremony; the groomsmen and your brother (also the best man) who threw the most amazing stag party of the century; and so on. 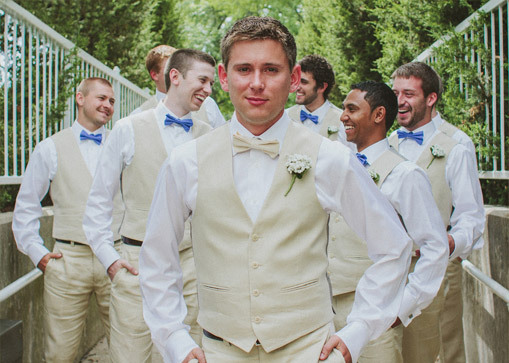 These special men deserve their own individual thank yous, just like the ladies in the wedding. What to get them, though? Select a thank you that suits each man individually; something that they will really use! Whether it’s an accessory to wear to your wedding and beyond, a drinks container (always appreciated) or something to carry on for future trips, here are five types of top guy gifts that they are sure to love. Ah, what better way to show your affection and thanks than to get your guys a new drinking partner. 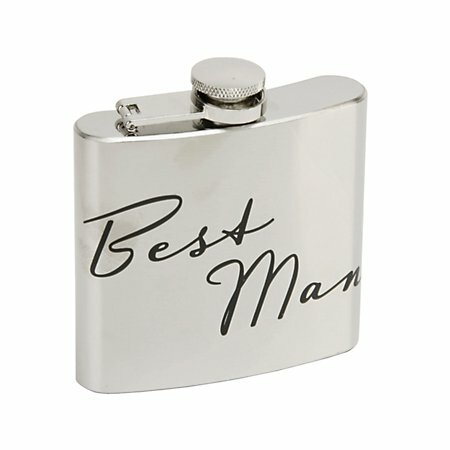 The best man whiskey flask is a stainless steel sipper with the words “Best Man” written across the front—so he’ll never forget his Best Man 5oz Hip Flask! Or go for this wonderful drinking glass, a pint glass that can be laser engraved with your sentiments. Bonus: Include a bottle of something to pour into it. You might think about handing out the goods post-ceremony, though…for obvious reasons! 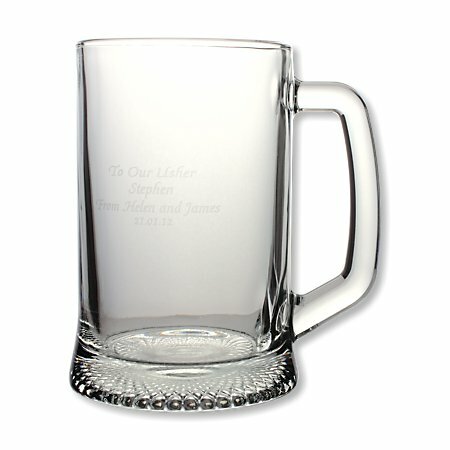 Your best man will love his 1 Pint Personalised Glass Tankard. Is your father-in-law notoriously late? 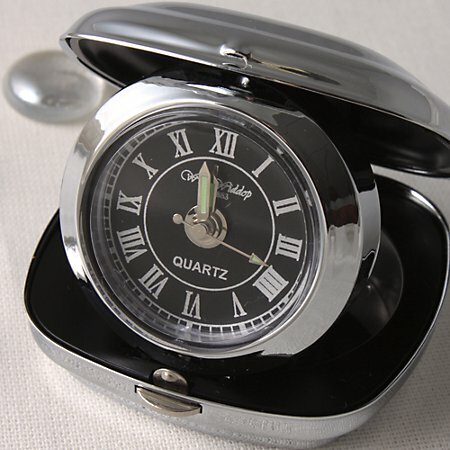 A great present that will not only ensure his prompt arrival at your wedding events, but also will serve him well for future travels, is the pocket alarm clock. The sleek, compact pop-up time traveller features a black face and chrome accents and case. Because it’s time…to be on time with the Chrome Fold Up Alarm Clock! 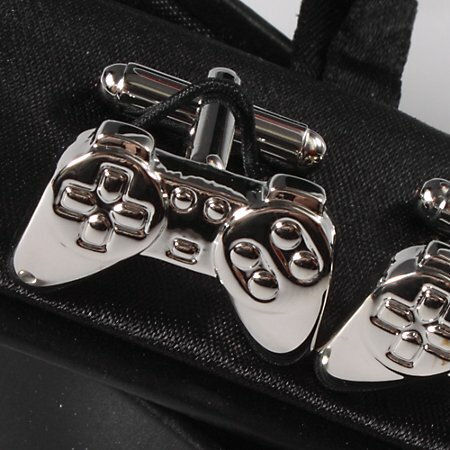 Alternatively, if he’s more of a playful, subtle-humour type, give the gift of these totally fun Dualshock controller cufflinks, which look like video game control handsets and come in a shiny silver finish. Game on with the PlayStation Cufflinks. Unless your friends and family have all embraced their artistic ways—doubtful—there’s always at least one best man in your life that’s headed down the financial path, right? Then give him something he can relate to and use—an engraved money clip is just the thing for a practical and thoughtful present. 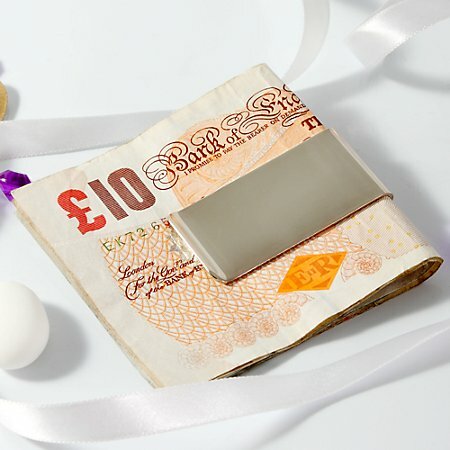 Take a closer look Silver Plated Money Clip (Personalised). 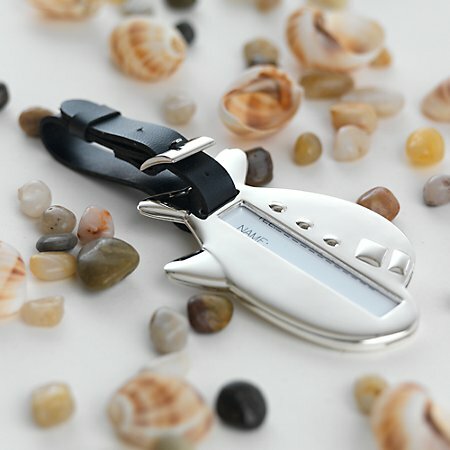 Whether he’s traveled to get to your special day or is an avid traveler, the is a fun little travel agent luggage tag. The silver-plated luggage tag is in the shape of an aeroplane, and can be personalised with their name and/or your wedding date! Bon voyage, brother with the Plane Luggage Tag (Personalised)! 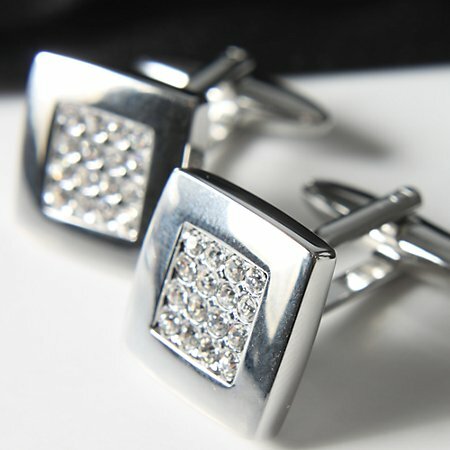 Don’t forget, there is plenty of choice on offer for your best man when you shop B&G thank you gifts for the best man. Do you have a gift-giving question that you’d like to ask us? We’d love to hear from you! Post it on our Facebook page and we’ll get back to you ASAP with an answer.